Scituate's Aidan Sullivan proved by season's end that he was the Most Valuable Player in Massachusetts in 2018 (Photo Courtesy: Andrew Bowman/@Andrew_Bowman5). 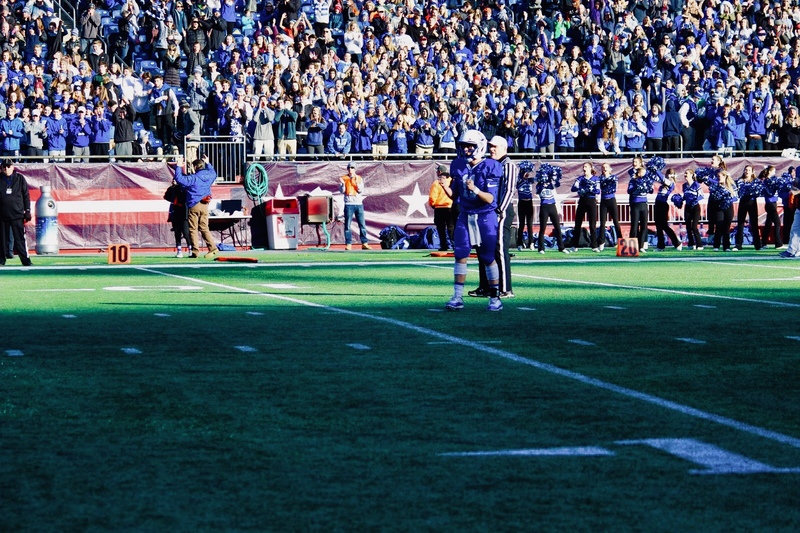 SuiteSports and its panel of writers, correspondents, and editors is proud to announce Scituate quarterback Aidan Sullivan as its 2018 MIAA High School Football Player of the Year Award recipient. Sullivan joins Duxbury quarterback Bobby Maimaron and King Philip running back Shane Frommer as the three players to home the annual honor. The award not only recognizes a player's talent, but also their value to their team on and off the field, their impact on team performance and their overall performance for the season's entirety. It is, in its truest definition, the most valuable player of the season. What makes Sullivan's ascension to the top of the list so unique is that he was not even on our initial watchlist to begin the season, becoming one of the final players to add there name into consideration before locking up the honor Super Bowl weekend. In the fall of 2018, there was no one who was a greater catalyst for his team's success than Sullivan. The five-foot-10 inch senior captain of the Sailors offense was a dynamic playmaker from opening kickoff to season's end. He made clutch plays with both his arms and his legs to lead Scituate to their first Super Bowl in program history. Most impressive about his performance, Sullivan always carried the aura of being in command making sure every facet of the Sailors offense was in check. Sullivan's knack for coming up big when it mattered most was on full display all season long. It was never more evident than in Scituate's opening round victory over defending Super Bowl champion Dennis-Yarmouth when for a moment it looked as though a Super Bowl would never come the Sailors way. Trailing 27-20, however, Sullivan brought Scituate back from the dead embarking the Sailors on 97-yard drive in the span of just under two minutes. Sullivan capped off the drive by firing a 10-yard touchdown pass to Jack Ruble before icing the game with a dramatic, game-winning two-point run. From there, Sullivan's postseason performances only got stronger. Over the Sailors final four postseason games, Sullivan threw for a combined 745 yards and 11 touchdowns to just three interceptions. 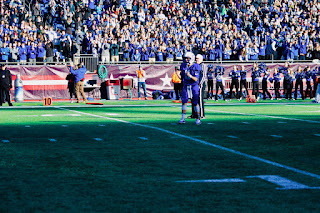 Sullivan capped off his season with a big afternoon in the Scituate's' Super Bowl win over Nipmuc going 11-of-15 for 169 yards and three touchdowns. For the season, Sullivan went 141-of-211 for an efficient 67-percent completion rate. He amassed 2,300 passing yards and 24 touchdowns through the air to go with just seven interceptions. Additionally, Sullivan also added 146 rushing yards and six more scores on the ground to finish with 2,416 total yards and 30 touchdowns. Sullivan ended his tenure with a pristine record of 20-3 and as the all-time program record holder for career touchdowns with 50. Also Scituate's starting point guard in the winter, Sullivan will play basketball at Suffolk University. Awesome. Way to Aidan. Such an impressive season and career.